Happy NCAA Basketball National Championship Monday, always one of the most “un-Monday feeling” Mondays of the year. Hopefully tomorrow doesn’t deliver a delayed case of the Mondays. In just a few moments, the Louisville Cardinals and the Michigan Wolverines will tip-off the Championship Game from the Georgia Dome in Atlanta. With the 2013 baseball season also just under way, Trev’s Bistro is in a particularly sporting mood today. 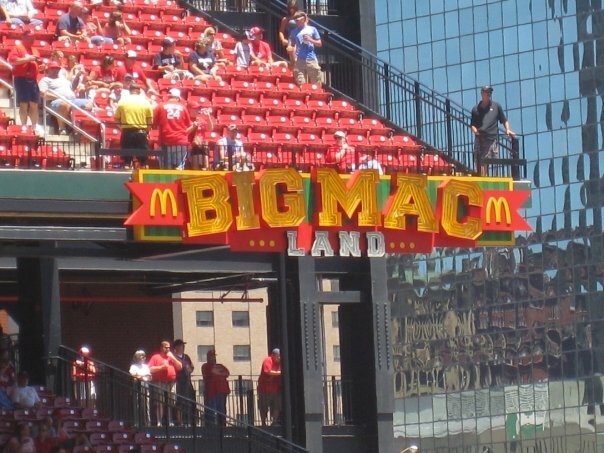 For this edition of the Plat du Jour, we’ll look at some of the most impressive dining options across Major League Baseball, in addition to our usual city vs city Championship Dining match-up, with Ann Arbor taking on Louisville, Big Blue vs Big Red. But first, a few food world notes. This weekend was the sixth annual Pebble Beach Food & Wine Festival. In addition to numerous rounds of golf and enjoying the sunshine-filled California weather, many talks and exhibitions were held by many of the country’s most notable chefs. And yes, there seemed to be no shortage of happy hours and after parties. The legendary Cecilia Chiang, a San Francisco chef-cookbook author-all around authority on China’s myriad cuisines, was the guest of honor this year. 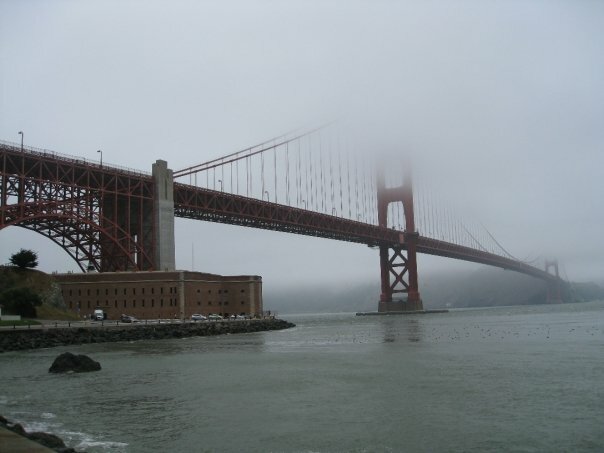 Eater National has some day-after notes from the Monterey Peninsula. No word on if Daniel Boulud defeated Thomas Keller on the links. Moving north up Highway One, this weekend’s San Francisco Chronicle review was a three star affair for Joshua Skenes and Mark Bright’s much awaited re-opening of Saison, at a new SoMa location. Indeed the four may have received four stars, but the overall experience merited only three stars from Michael Bauer. The article presents some gorgeous pictures of Skenes’ tasting menu and Bauer also brings up a very important point at the end of his blog post today about the informal state of ambitious restaurants today. We will certainly delve deeper into this subject later this week. Saison is certainly not alone. Noma, Momofuku Ko, Next, and many more are all changing the definition of the highest level of high-end dining. 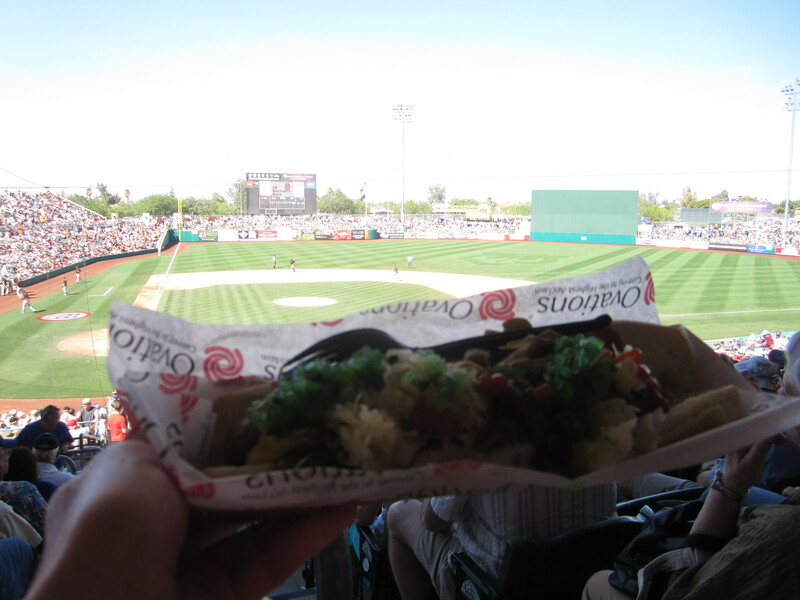 Moving to the sports world, here are two lists describing the latest and greatest addition to the menus at ballparks across the country, courtesy of CNN Eatocracy and Food Republic. The burger at the new Holeman & Finch stand inside Atlanta’s Turner Field is certainly the most notable new item this year, with Michael Solomonov’s Federal Donuts at Citizens Bank Park in Philadelphia a close second. Knowing the popularity of the brick and mortar editions for the H&F Burger and Federal Donuts, I’m expecting longer lines at both than when Citi Field in New York opened a Shake Shack a few years ago. 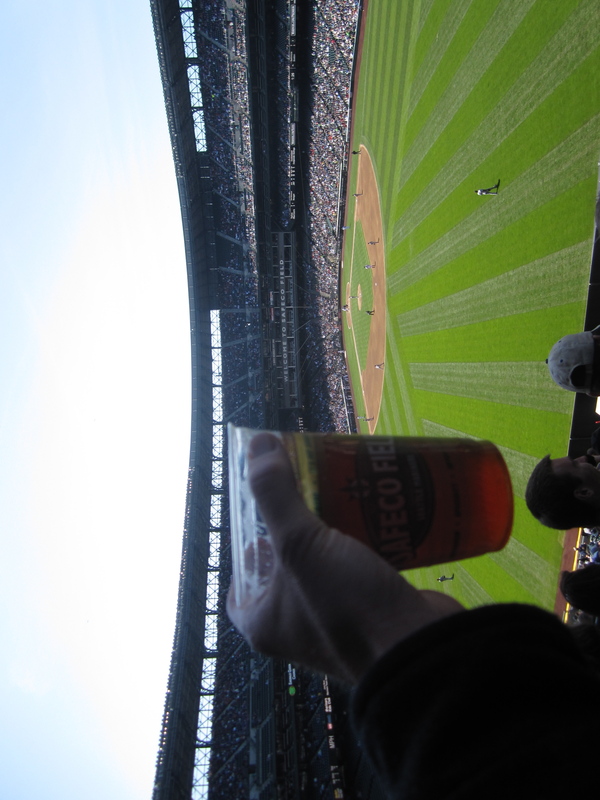 One additional opening tonight is at Seattle’s Safeco Field, where you can now watch Mariners games at Edgar’s Cantina (named for legendary Mariners DH Edgar Martinez) and enjoy a cocktail from the folks behind Belltown’s terrific spot, The Rob Roy (don’t think too hard, ask for a Rob Roy). 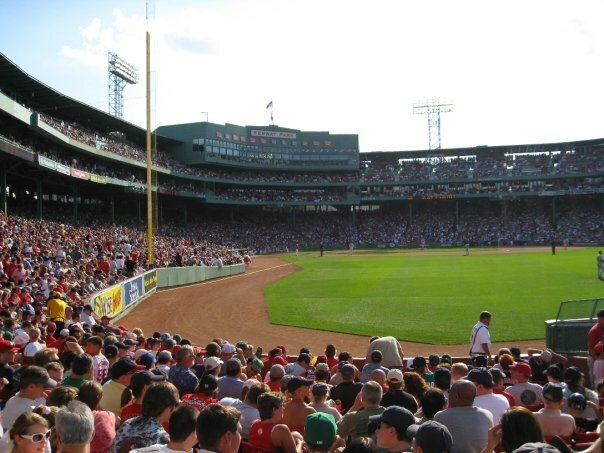 Since my article last year on my favorite bites across Major League Baseball, I have added two more stadiums to my career total, now at 27 of the 30 current Major League ballparks. Neither Rangers Ballpark in Arlington, Texas or Minute Maid Park in Houston will garner any culinary awards. In Arlington, enjoy a brew from Rahr & Sons in nearby Fort Worth, while consuming the 2,000 to 3,000 calorie, two foot long “Boomstick” hot dog, or go lighter with a BBQ turkey leg and (best in the park in my opinion) BBQ corn on the cob from the centerfield dining concourse. Avoid the cajun cooking stand’s kebabs at all costs. In Houston, save the calories for dinner at a place like Feast or Oxheart another night, and enjoy the best salad bar in Major League Baseball behind home plate on the lower level. Unfortunately, the much-hyped Little Big’s beef sliders from Houston chef Bryan Caswell is not close to the standards he sets at his flagship dining room, Reef. Let’s head to Atlanta now for our showdown between Louisville and Ann Arbor. Passionate eaters from both towns, please help me fill in the contest! Having briefly been to both cities a few years ago, here are my thoughts of what would be the championship level teams from my experiences. On the Ann Arbor team, a reuben and smoked whitefish salad (and really anything…) from Zingerman’s Deli. We’d add in some of the über talented chef Alex Young’s BBQ pork from Zingerman’s Roadhouse. Let’s also include some Cuban street food from Eva Aronos of Frita Batidos, anything from Thad Gillies at Logan, and we can’t forget a Krazy Jim Blimpy Burger. To drink? I’d love a “Last Word” cocktail from The Last Word to start, then some innovative Belgian inspired brews from Jolly Pumpkin (we’ll go with the slightly tart La Roja). For dessert, we need some ice cream and doughnuts from the classic Washtenaw Dairy. 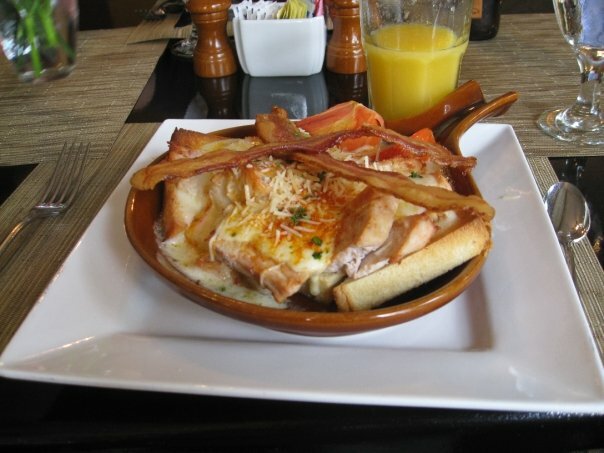 For Louisville, let’s start with the always satisfying Hot Brown sandwich (a broiled, open-faced turkey sandwich, covered in Mornay sauce, and topped with bacon) with J.Graham’s Hotel in the Brown Hotel. Yes, we need fried chicken and biscuits. I’ll bring the fried chicken from Kurtz’s in nearby Bardstown and the fluffiest of biscuits imaginable from Lynn’s Paradise Café. 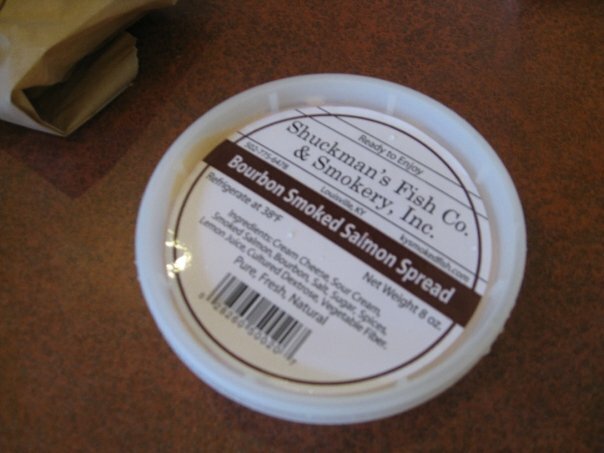 Let’s include some Bourbon smoked salmon spread from the exceptional smoked fish purveyor Shuckman’s and also ask the city’s very talented chef Edward Lee of 610 Magnolia to include a dish of his on the team. 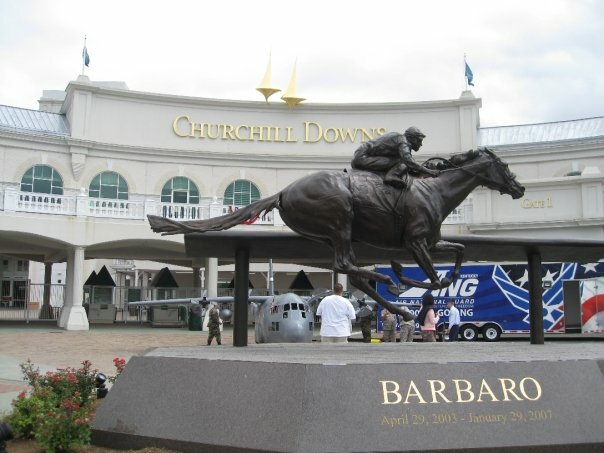 A pristine Churchill Downs Mint Julep, some Woodford Reserve Bourbon, and a Seelbach Cocktail from the Seelbach Bar would be the perfect drinks for this team. I’ll finish the team with both Kurtz’s biscuit pudding in a Bourbon sauce and the J. Graham Café’s “official” Derby Pie (chocolate walnut pie) for dessert. Finally on this Monday evening, the past few days we’ve lost two iconic figures in Roger Ebert and Margaret Thatcher. Dame Margaret Thatcher’s favorite food was Dover sole and as it turns out, she helped invent soft-serve ice cream long before becoming the U.K.’s Prime Minister. We’ll miss both of you Margaret and Roger, two incredible larger than life personalities who meant so much to society. Have a great rest of your Monday! Tomorrow we’ll learn how to put together a chocolate peanut butter gianduja and enjoy some burgers with craft beers in Claremont, California. 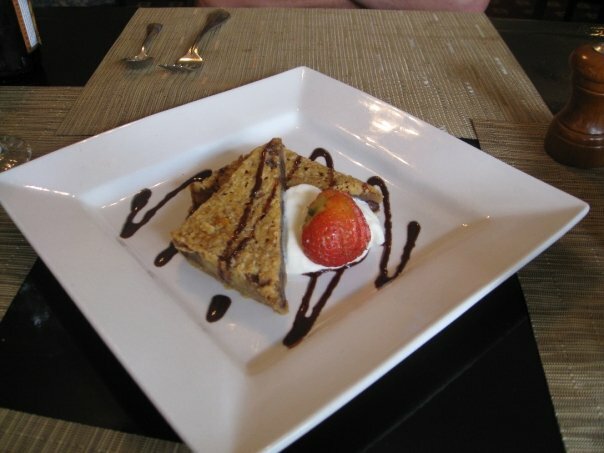 This entry was posted on April 8, 2013 by trevsbistro. It was filed under Ann Arbor, Cities, Insight, Louisville, Margaret Thatcher, Roger Ebert, Sports and Food .